There are few things more horrific than what Im about to share with you. It sickens me to recount these graphic details. The realities of abortion are always a tragedy; however abortionist Kermit Gosnell (pictured here) represents the worst of the worst. Gosnell is currently on trial facing capital murder charges for allegedly severing the spines of at least seven babies born alive at his notorious late-term abortion mill, called the House of Horrors by the FBI. Even after there was a long list of complaints regarding the deplorable, filthy conditions, authorities took no action. It wasnt until the FBI suspected Gosnell of selling illegal prescriptions of narcotic pain killers in 2010 that they raided the facility. Then, finally the appalling conditions were brought to light and the mill shut down. However, Gosnell didnt only end the lives of innocent babies. He also faces a count of third degree murder for the death of a 41-year-old woman who was given a lethal overdose of medication during an abortion procedure. Eight of Gosnells staff members have pled guilty to the violent murders. Among them is Gosnells own wife. The staff testified hundreds of newborn babies were killed by the vicious act of severing the spine. In fact, its even been called Gosnells preferred method of aborting late-term babies. 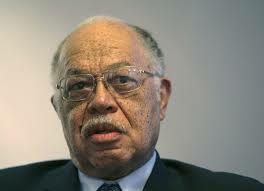 Gosnell is no stranger to late-term abortions. Hes known for conducting abortions that others refused to do. He even joked about the size of an infant called Baby A, stating the baby was big enough to get up and walk to the bus stop. Sadly, Baby As mother was also victimized. She ended up hospitalized with a severe infection and blood clots that had travelled to her lungs, nearly killing her. The abortion mill was described by District Attorney Seth Williams as a dirty clinic filled with moaning, bleeding, heavily medicated women in tremendous pain. During FBI questioning at the facility, Gosnell was eating dinner but didnt bother to take off the bloody gloves (with holes in them) or his bloody surgical garb. Defense attorney McMahon claims it wasnt fair to expect poor, minority women in a nitty-gritty neighborhood to have the same medical care and clean environment as a respected medical facility. In other words, its no different than the back-alley abortions of the pre-Roe era, and theyre actually defending it. It sickens me to think of all that took place within the walls of the House of Horrors and the countless other legal abortion mills like it across the country. Lets pray that Gosnell and others like him are brought to justice to pay for their crimes against humanity. No one should ever be able to get away with brutally victimizing our most vulnerable citizens in such a sadistic way. Life Issues Institute is dedicated to changing hearts and minds of millions of people through education. Organizations and individuals around the world depend upon Life Issues Institute to provide the latest information and effective tools to protect innocent human life from womb to tomb. Receive information like this – in your Inbox. This entry was posted in 2014, Back-Alley Abortion, Infanticide, Kermit Gosnell, Late-Term Abortion, The Latest by Bradley Mattes. Bookmark the permalink.